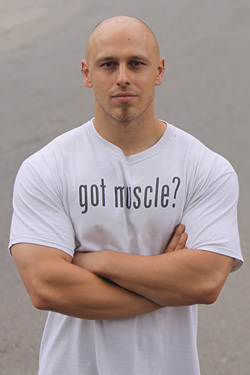 I’m a 27 year old competitive natural bodybuilder. Being vegan has never prevented me from building size and strength and, in fact, has only helped build up my physique. The gains I make are more motivation to prove that being vegan can mean being powerful and muscular. Being competitive gives me an avenue to display the results of hard training and a vegan diet, and show I am able to stand toe to toe with those who consume animal products, in terms of size and definition.